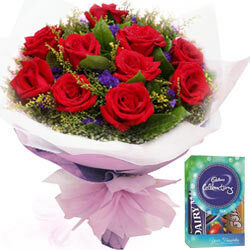 Speak up heartfelt emotions for your special one with romantic Bouquet of Flowers that will brighten up their day. 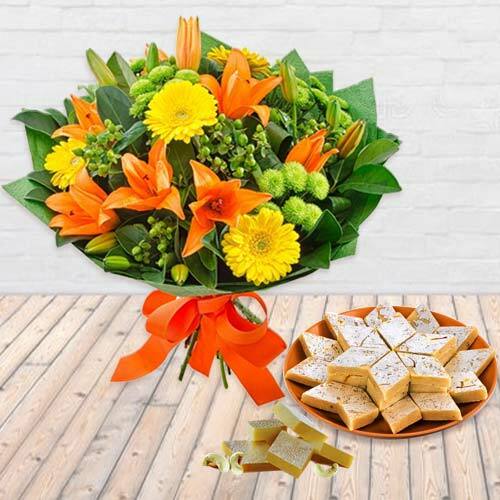 Have a look at aromatic Flowers Buky of 30 brightly hued Gerberas or Bookey of elegant Orchids, charming Red Roses Arrangement and Send Flowers to Chandigarh, Mohali and Panchkula on Birthday, Anniversary etc to make your bond stronger. 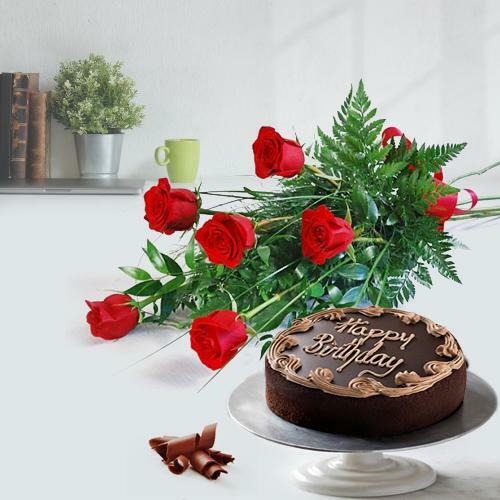 Surprise your loved ones in Chandigarh with delectable Birthday Cakes from our website. 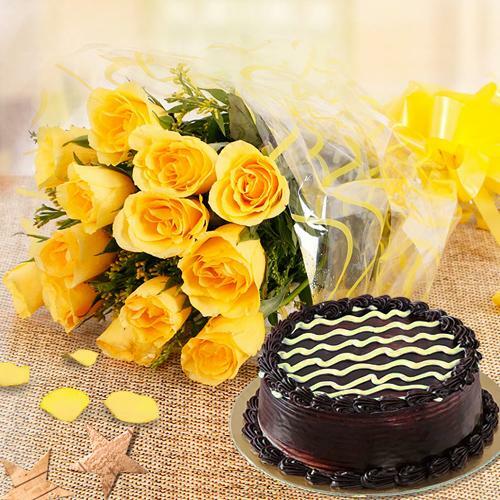 Choose from an exotic collection of Fresh Baked Cakes like delicious Chocolate Cake, Red Velvet Cake, designer Cupcakes and more at Low Price. 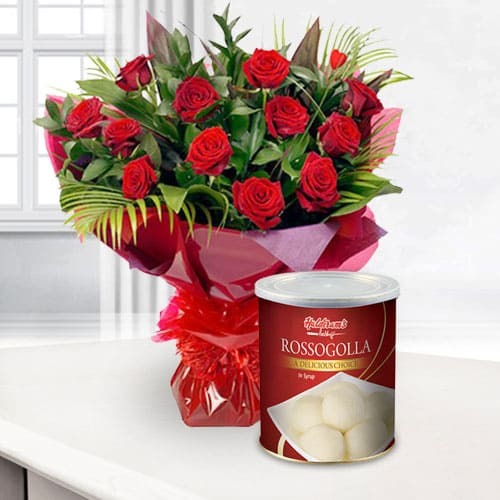 Order Online Today and get Free Home Delivery in Panchkula and Mohali also in a hassle free manner. 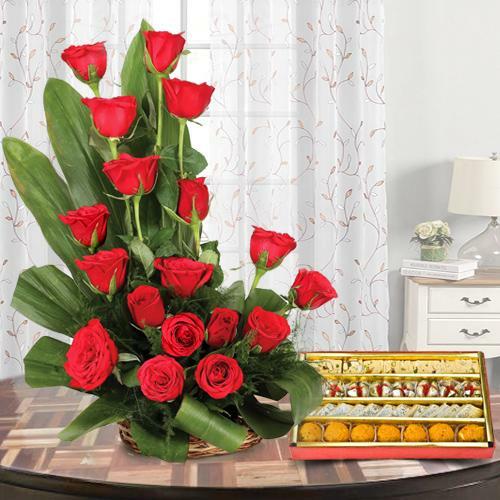 Delight your dear ones with exclusive Combo Gifts on Anniversary, Diwali or other celebrations. 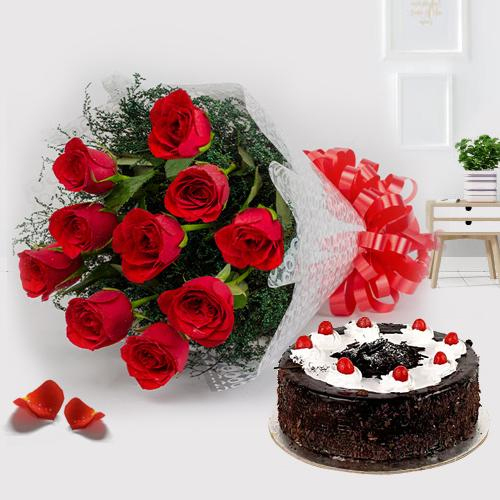 Explore our vast assortment of Combo Gifts like Red Roses Bouquet with Black Forest Cake, Chocolates Hampers with Teddy Bear etc at Low Price. 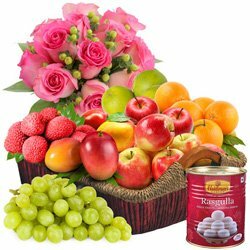 Send Combo Gifts to Chandigarh online and get assured Same Day Delivery in Mohali and Panchkula as well. Free Shipping provided. 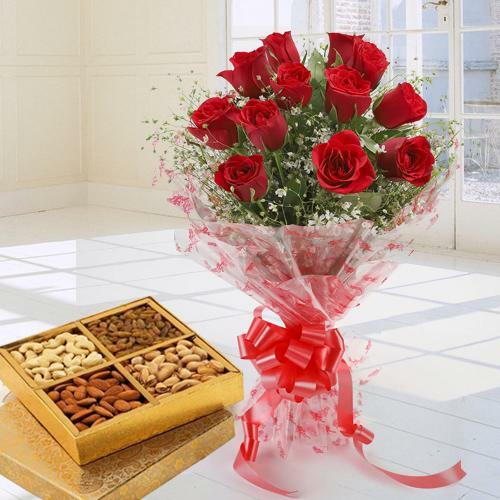 If you do not prefer to order any sugary delight, we offer Assorted Dry Fruits Hamper comprising of Almonds, Cashews, Pistachio, Raisins, Walnuts etc available at most affordable price for gifting on Diwali, Rakhi, Christmas, Bhai Dooj etc. 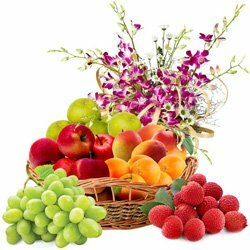 Send healthy wishes to your beloved in Chandigarh, Mohali and Panchkula with Free Home Delivery service offered from our end. 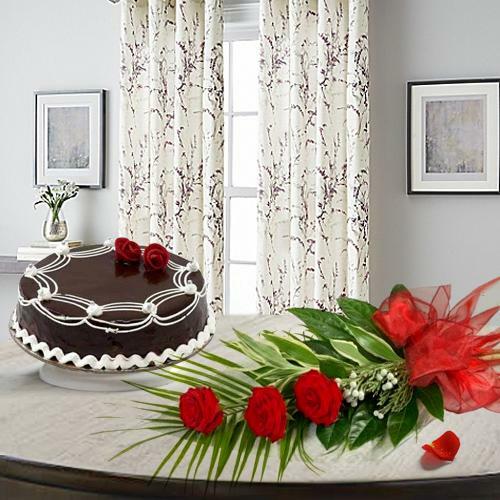 Surprise beloveds on Anniversary, Valentine�s Day or any such romantic date with Midnight Delivery of beautifully wrapped Flowers coupled with fabulous Gifts. 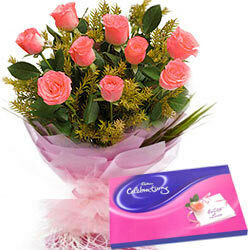 We provide assured Midnight Delivery in Chandigarh without any hassle. 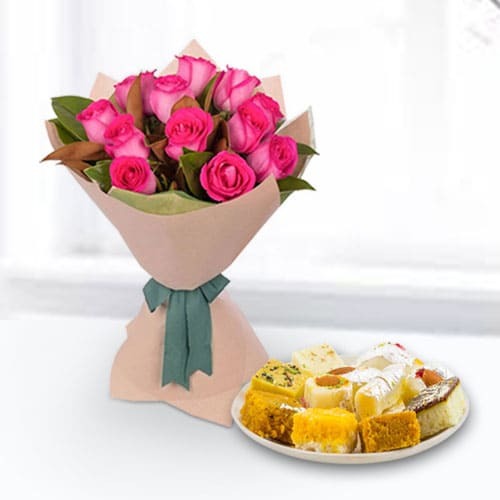 Feel Free to greet family & friends with exotic Floral Gifts on Birthdays, Anniversary, Christmas etc as we not only offer Free Home Delivery for Chandigarh but for Mohali and Panchkula as well within few hours of placing an order. 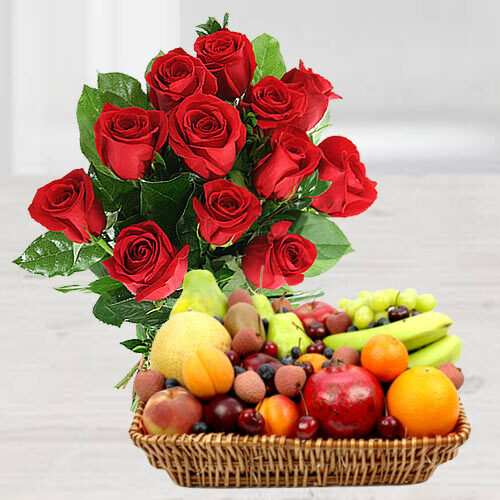 Send warm greetings to your beloved on same day for Birthday, Christmas or New Year with Low Cost Gifts like Fresh Floral Bouquet, Cakes & Gift Hampers available online. 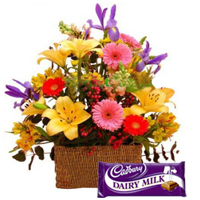 Select from a plethora of Same Day Delivery Gifts and get your order delivered within 4-6 hour. 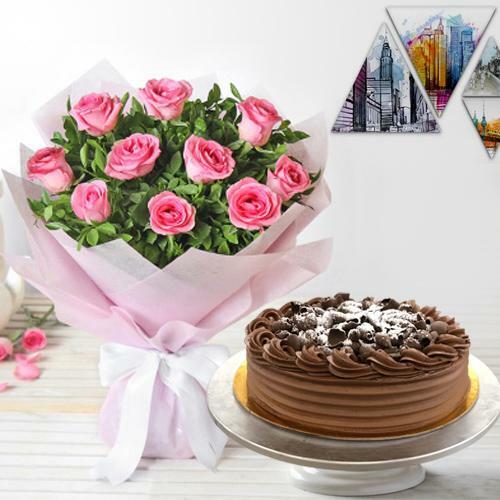 I ordered a chocolate cake and some add-on gifts from your site for my daughter in India. 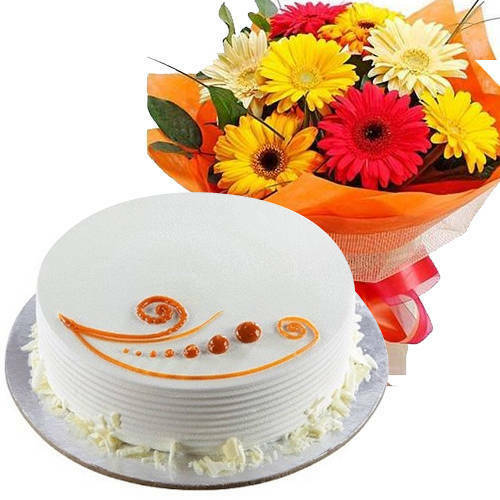 She was happy on receiving such an awesome gift and loved the taste of cake too. Thank you for bringing my daughter closer to me on her birthday. My father has received my gift on the exact delivery date. 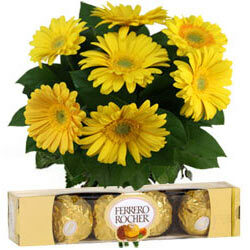 The flowers were lovely and the chocolates tasted delicious. My father was happy. 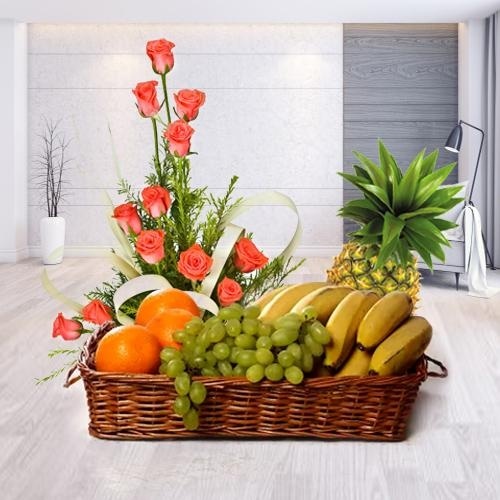 The most popular way to present Gifts or Flowers is to present beautiful Flowers because Flowers appeal to all our senses and brighten up our lives and our hearts. 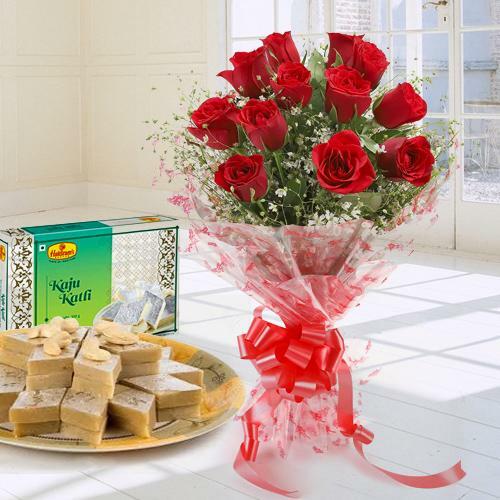 Impress the person you admire by gifting these Lovely charming Red Roses combined with mouth-watering Kaju Katli, Bouquet of Beautiful Blushing Peach or Pink Roses, 15 Appealing Red Roses in a Basket, Charming Assorted Roses with Delicious Kaju Barfi Delight, Beautiful Fresh Seasonal Flower and Delectable Kaju Barfi, Dozen of Radiant Roses with a Vase, 24 Archangelic Red Roses, Exclusive 12 Red Roses along with Yummy mixed Dry Fruits, Radiant Red Roses along with a lovely Heart Shape Balloon and sweep them off their feet. 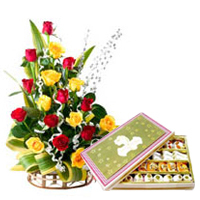 Flowers are eternal and wonderful Gift for almost all occasion. 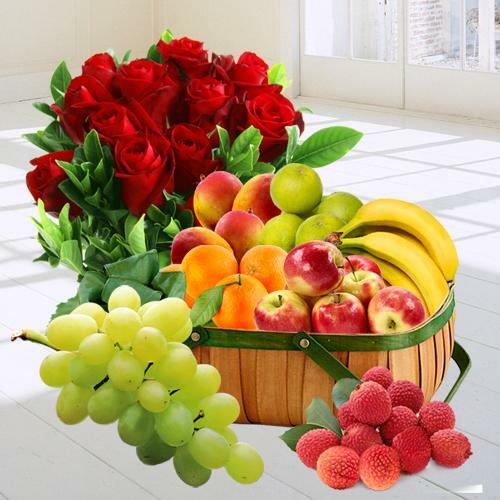 Beauty, warmth and love are captured by the essence of Flowers. 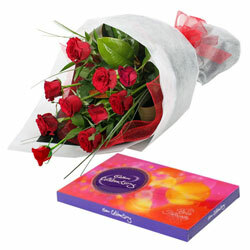 Enthrall the people close to your heart by sending them these Glorious 12 Yellow Roses in a Vase, Soft Pink Roses Bunch with Delectable Black Forest Cake, Admirable Red Roses with Adorable Black Forest Cake, Bouquet of Spectacular Red Roses, Adorable 2 Dozen Multicoloured Roses with Assorted Dry Fruits, Gorgeous Mixed Roses and a Vase with delish Chocolate Cake, Bouquet of Pink Beautiful Roses which comes with all the ingredients necessary to make one happy. 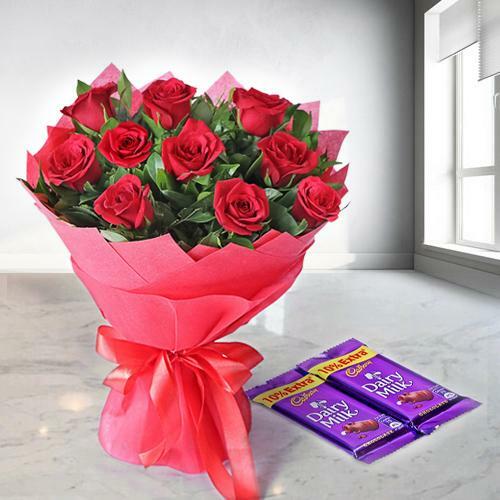 Even if you are far away from your loved ones, send them these Dozen of incandescent Roses with nutritious Fruits Basket, Stunning Pink Carnations in a Vase, Beautiful Bouquet of 40 Red and White Roses, Gorgeous Flowers combined with enticing Cadburys Chocolate, Bright Colourful Bouquet, Beautiful Arrangements of Gerberas in a big Vase, Stunning Gerberas in Vase, Bouquet of Spectacular Red Roses, Attractive Mixed Gerberas as a token of remembrance and how much you love them.